3 In 1 functions. 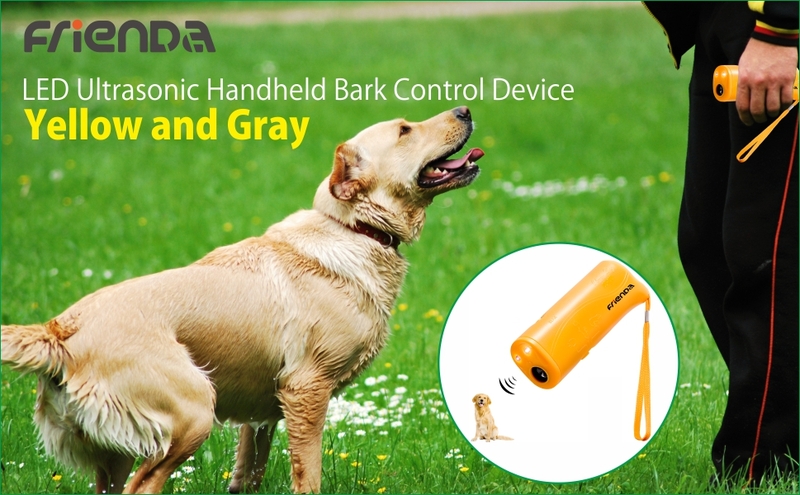 The device has 3 functions totally, the first function is only for LED lighting, second one is "stand up" function, make dogs learn instructions and the last "lying down" function stop dogs barking or other aggression. Portable and handheld. The dog trainer is approx. 12.5 x 4.5 x 2.6 cm, small in size and easy to carry, great for jogging, walking, travelling, security night patrol and any other outdoor activities. Convenient to apply. You can operate the device just in few easy steps, you need open the battery cover, and put 1 piece 9V battery (not included) then refasten the cover, and it can work well when you press or push the buttons. Various usages. 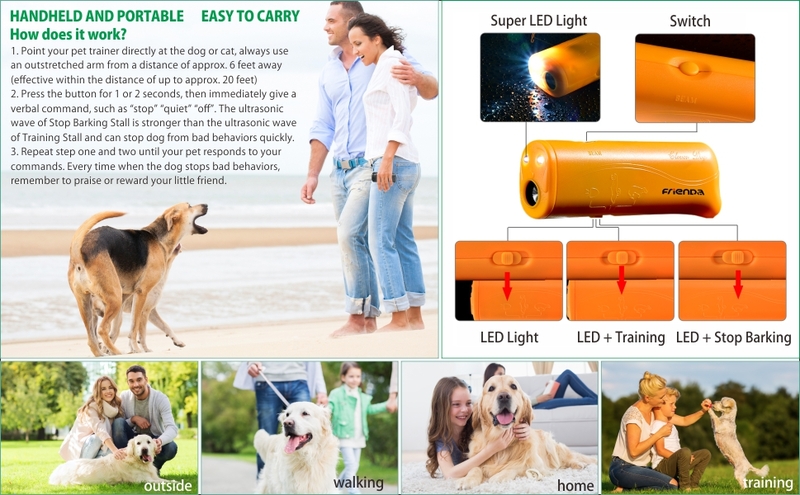 The trainer can be applied not only as training tools, but also lighting device and protect you from attacking by dogs; Fits for many kinds of dogs. If you find that it doesn’t work well in stopping dog from barking, please change the batteries timely. We recommend using rechargeable battery. Dog repeller can work on most dogs, but sometimes it won't work on those giant dogs.